To be perfectly transparent – and to save some of you a bit of time – I’m placing a disclaimer at the beginning of this article. 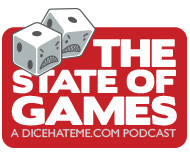 If your idea of a perfect game is sitting in silence – with or without other gamers present – shuffling through cards, chits, wooden blocks and such, all in an effort to outwit not another opponent but the game itself, it’s probably best just to check out the Dice Hate Me reviews of Onirim or Red November. But if you’re the type of gamer who relishes heated debates, paranoia-stricken glances at the whites of the eyes of every player seated around the table, or hearing the phrase “I’m never playing this game with you lying punks again” uttered at the conclusion of nearly every game, then read on, my friend. You are a social gamer, and I welcome you to my realm. In the game of Saboteur, you are a dwarf; not literally, but you’re taking on that role, and of the extreme mining persuasion. Generally, your goal as a dwarf is to play cards each round that allow you to tunnel to one of three goal cards, one of which contains gold. Being a dwarf, you naturally like gold, and the dwarf with the most gold at the end of three rounds of digging wins the game. If that was all there was to the game, it would be pretty simple – and extremely boring. Luckily, there’s a traitor mechanic – and it takes all this digging drudgery to a whole new level. In addition to all the gold-digging dwarves, there are also the titular saboteurs, out to ruin everyone’s day. Each round, role cards are handed out randomly, with saboteurs in the mix. No player ever really knows who has what role, not even the saboteurs. The card mix and mechanics of the game make it very difficult to suss out the saboteurs, as the good dwarves want to be the first to reach the gold so that they may score more points at the end. This often results in an innocent dwarf playing a card that impedes tunneling, casting delightful suspicion on them for the rest of the game. It’s sometimes quite difficult playing as one of the dwarves-in-black, as there are always more good dwarves than bad and the saboteurs are not aware of who their allies may be. But the combination of suspicious card activity amongst the good dwarves can sometimes be skillfully crafted into an airtight framing of one of the innocents, giving you free rein to terrorize the tunnels and keep all the gold for yourself. For any of you out there that have ever been coerced into a midnight game of Mafia or Werewolf, the basic concept of The Resistance will seem instantly familiar. What will not seem familiar to those other two group games, however, is the fact that The Resistance is actually engaging and fun. 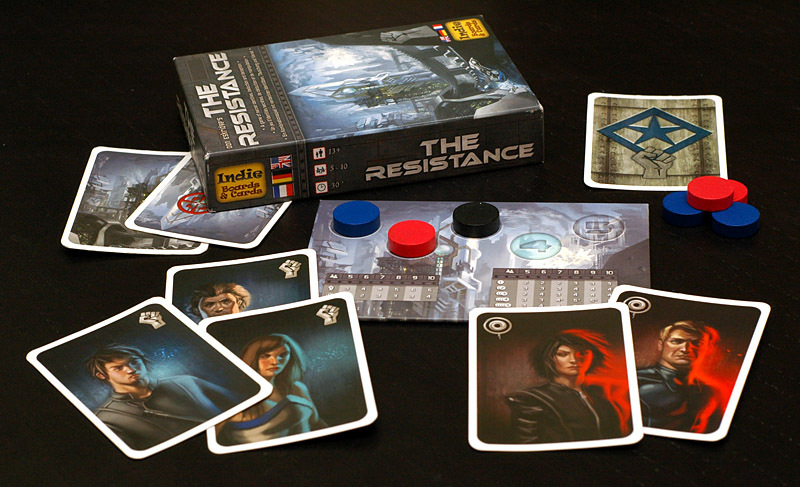 In The Resistance, players are secretly divided into two camps – the blue-colored Resistance (the good guys, fighting back against a futuristic imperialistic government), and the red-colored Spies (the bad guys, sent by the imperialistic government to infiltrate and take down the good guys like non-cybernetic terminators). At the beginning of the game, after all Resistance and Spy roles have been given out, players close their eyes and the spies open their eyes to reveal themselves to the other dastardly ne’er-do-wells. Then the fun – and, sometimes, frustration – begins. There are five rounds in the game, and each round the team leader must choose a variable number of players to go on a mission. While on this mission, those team members may secretly choose to successfully complete the mission (if they are a good guy) or sabotage the mission (if they are a bad guy – or a really stupid good guy). If three of the five missions fail, the bad guys win. Otherwise, the imperialistic government is defeated and The Resistance parties like a bunch of battle-hardened Ewoks. There are other complications to the mission structure, such as team members voting to approve a team mix before the mission is attempted and Plot cards that add special player powers, which add another layer of depth to the already-complex social strata. The Resistance is a truly solid social game. However, the overall play experience of The Resistance is also pretty dependent on the right mix of players. If handed to a bunch of straight-shooting, Candyland-toting school marms, a round of The Resistance could be akin to watching back-to-back episodes of Little House on the Prairie. Hand The Resistance over to a bunch of wily, backstabbing, unpredictable sorts – namely, gamers – and you’ll likely walk away from the table with a new enemy, as well as a new tale of epic deceit and, quite often, defeat. For those of you dear readers who have followed Dice Hate Me for awhile here on the blog and on Twitter, you can no doubt recall my various mentions of the infamous Lifeboat from time to time. I have played Lifeboat – and it has played me – several times, and I can honestly say that I have yet to find another social game that is its rival in bringing out the dirtiest, sneakiest and most double-crossing inklings lying wait within a group of gamers’ souls. In Lifeboat, players take on the roles of survivors, lost at sea. Each survivor typically has a special trait that will either help their situation on the boat, or grant them extra points for a particular situation at the end of the game. During each round of the game, the player in the front of the boat draws Provision cards (items such as weapons that can help in fights, water that staves off thirst, etc.) equal to the number of players, chooses one, and then passes the rest down the line. After Provisions are handed out, players take turns deciding on an action – they can do nothing, they can try to mug another player for their Provisions, they can try to swap seats with another player (getting closer to the front or back of the boat), or they can row, hoping to influence the Navigation cards which are chosen at the end of the round by the player in the back of the boat. Easy, right? Wrong. Dead wrong. The Shyamalan-like twist of Lifeboat is that each player is also randomly dealt a Love and a Hate card at the start of the game. These cards have the names of other players’ characters on them; if your character Loves another character, you gain points for their survival at the end of the game, if your character Hates another character, you gain points for their death. It is also possible to Love and/or Hate yourself, and that throws a whole new level of crazy into the mix. These Love/Hate cards are the driving force of the game, as you must constantly balance your own quest for survival with the desire for survival of your Loved one and the death of your Hated enemy. Regardless of who you Love or Hate on board the boat, one thing is for certain: by the time the water grows still, you’ll see dead people. In the end, Lifeboat doesn’t involve quite as much straight-out lying as that required in The Resistance, but what it does have is constant subtle shifts in the social balance in the boat, and that often requires a long string of little white lies, bribery, coercion and, more than likely, bullying. Like a good thriller novel, Lifeboat also often has a straightforward beginning, a rocky middle with a “where did that come from?” tilt that throws the whole balance of the boat on its head, and a quick climax where players start dying off in droves. Overall, Lifeboat can be brutal in its Lord of the Flies-like mentality; it is a brief snapshot into that spiralling heart of darkness that lies within us all. Never have I played a game where a player has literally walked away from the table swearing off the game forever, particularly if said player has the highest win percentage in the group. That, dear readers, is pure awesome, but it is not for the weak-willed or thin-skinned. 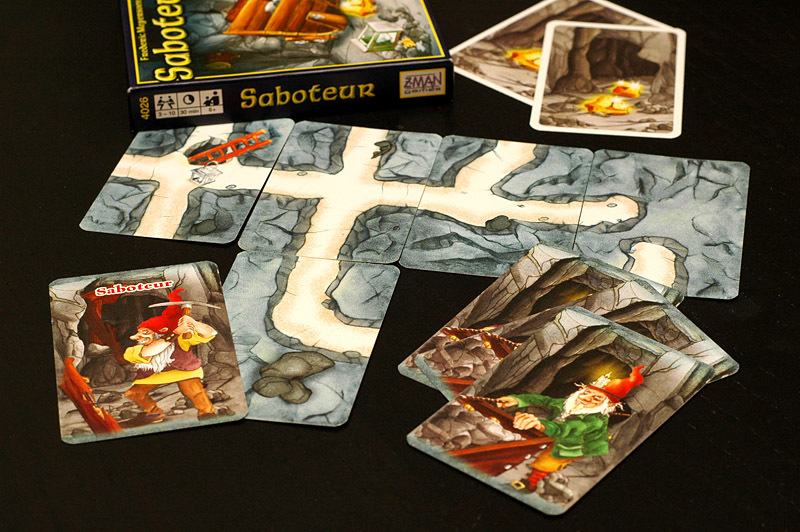 Saboteur is a game for 3 to 10 golddiggers, ages 8 and up, from Z-Man Games. The Resistance is a game for 5 to 10 browncoats, ages 13 and up, from Indie Boards & Cards. Lifeboat is a game for 4 to 6 backstabbers (up to 8 if you get the expansions and are insane), ages 13 and up, from Gorilla Games. There are very few games that can go up to 8 players (and past) and still be fun. For large crowds, our two favorite are Saboteur and Incan Gold. 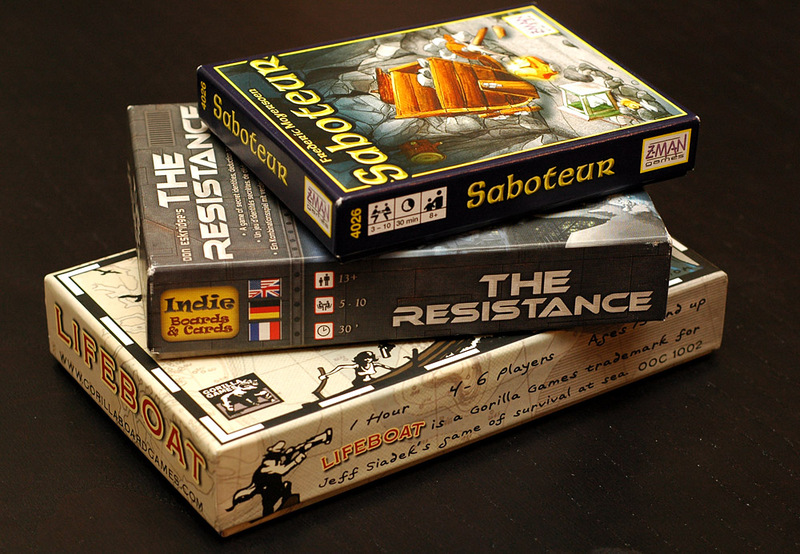 While Incan Gold doesn’t have a traitor mechanism like Saboteur, it has a similar need to read your opponents in the game and, in my experience, a lot of social interaction trying to keep people from running or prompting them to stay in. Incan Gold is well worth checking out. more fantastic reviews.. 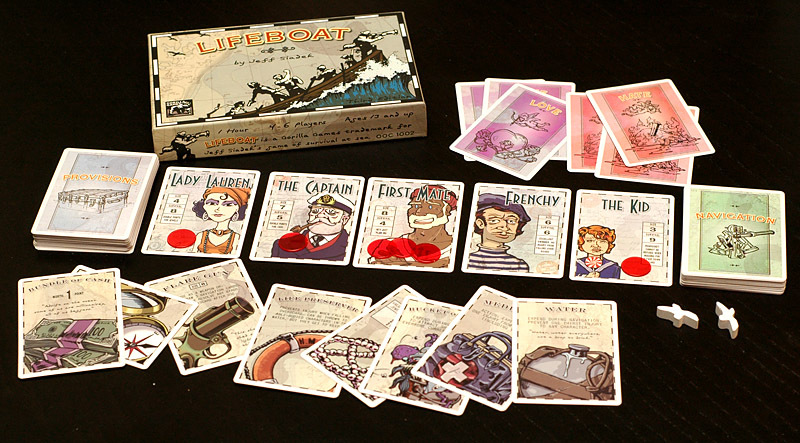 I can’t wait to get lifeboat in the mail and to get my copy of Saboteur to the table ! I’ve been eyeing Lifeboat for a couple of years now. I think I’m gonna pull the trigger. DO IT! Turn friends into enemies… you know you want to. All three are great games. One of my favorites though is Mueterer (mutineer). You’ve got the whole “Do I back the captain, Or support the mutineer” Thing but on top that is also hand management because you’re trying to sell goods and the remaing cards in the the captains hand determing which island he (or the mutineer) will land on. I’ll bring it when I come up to Durham. Hopefully we can get togehter and try it. Steve – Haven’t played Mutineer at all – sounds awesome! I hope we can get together while you’re in town for at least a game or two. Bryan – And we can’t wait to play Chicken Caesar!